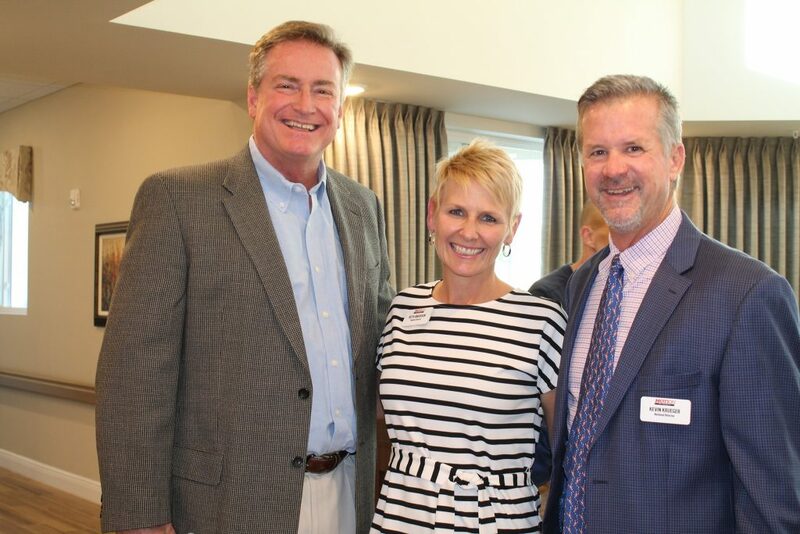 From left, Promise Pointe President and CEO Kirk Eicholtz smiles for a photo with Beth Anderson and Kevin Kruger, representatives from Motion PT Group. 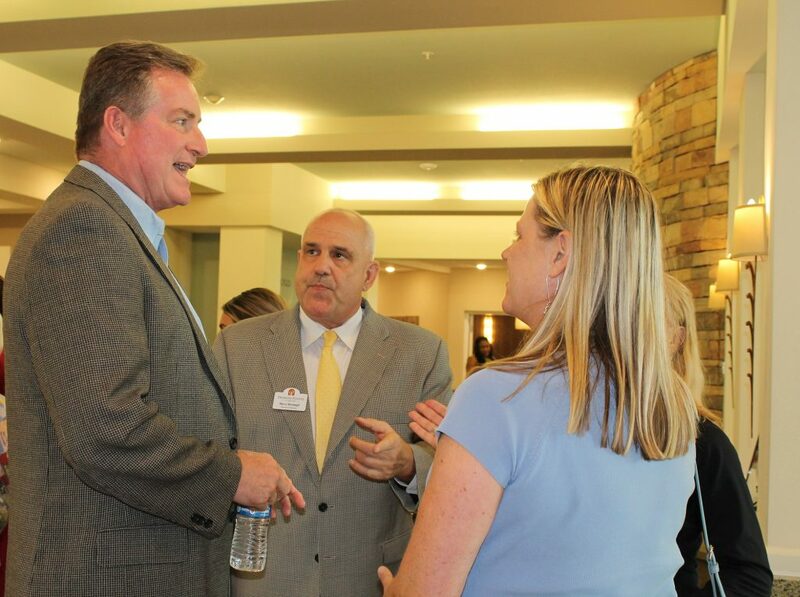 Promise Pointe President and CEO Kirk Eicholtz, left, and Executive Director Steve Strumpf talk with guests at the community’s anniversary celebration Wednesday. 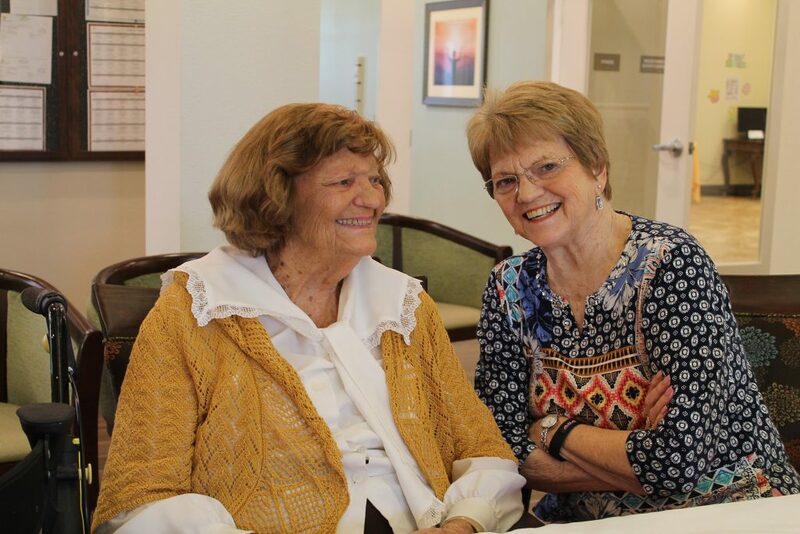 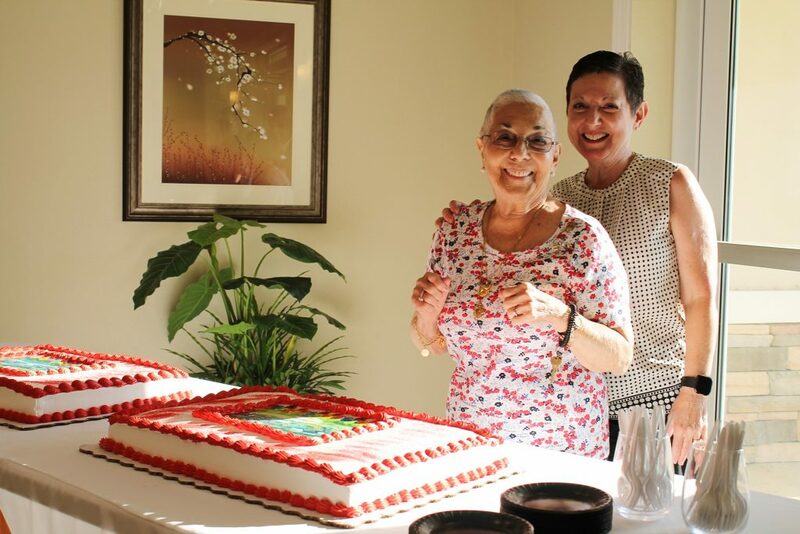 Resident Hazel, left, and her daughter, Phyllis, enjoyed celebrating Promise Pointe’s anniversary with friends.